We knew that this was going to be a super-duper music class as soon as we walked into the brand new premises of Directions in Music. This is a custom-designed area that is accessed by a generous lift (big tick from a mum of twins wielding an enormous double pram). It’s a place that just sings out with creativity with rooms for private music tuition, band practise, singing and toddler fun. Phil and Anne-Maree Molloy are highly experienced music teachers who started Directions in Music 12 years ago and have earned an excellent reputation with their in-schools music program and private lessons. Now with their new hub in Randwick, they are expanding their repertoire and offering an exciting harmony of new classes. 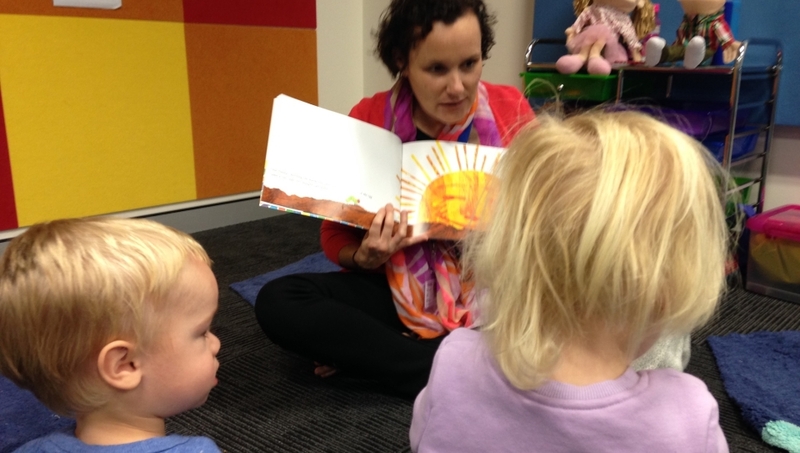 I was particularly interested in the Made4Music Toddler and Pre-schooler sessions. With two year old twins and a four year old, I am always on the look-out for new ways to engage my kids. I really liked how the Made4Music classes follow a structure that the kids can get familiar with, but never get bored as the theme changes every two weeks. For our trial class (which is FREE for first-timers), the theme was Food Glorious Food. 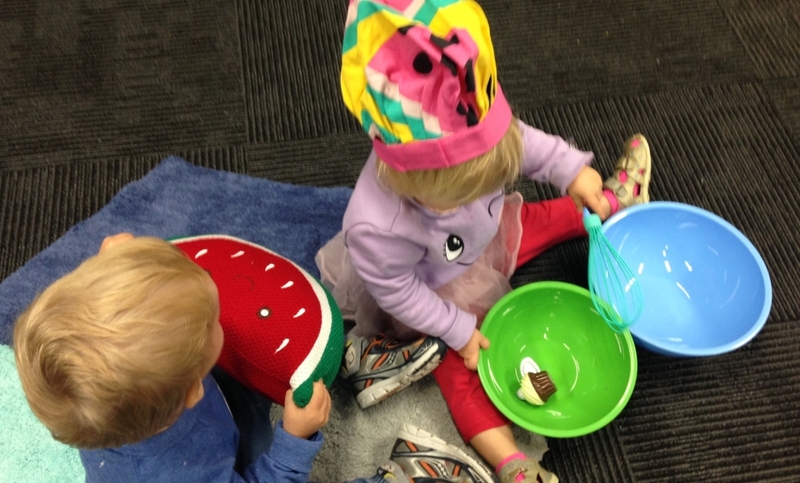 After the hello song, the kids loved digging into the bag of treasures for chef hats, mixing bowls, whisks and toy food. They had fun pretending to cook, stir and concoct all sorts of make-believe creations. After a fun sing-along, the box of instruments arrived and my two surged ahead to pick their favourite. What a great little orchestra our music group made. Next up Anne-Maree handed out little beanbags and the kids balanced them on their heads, shoulders, knees and toes. A little tricky sometimes but the little ones loved the challenge. Storytime was the Hungry Little Caterpillar and even though most of the group were familiar with the book, they all loved hearing about what was on the menu for the famous insect. The kids then got to dance around with scarves hiding behind them and throwing them up in the air and catching them again. The highlight of the class was the chance for the children to gather around the piano and play a few keys. Wow, what excitement! Then my son almost jumped to the ceiling with excitement when he saw what was next: the parachute. 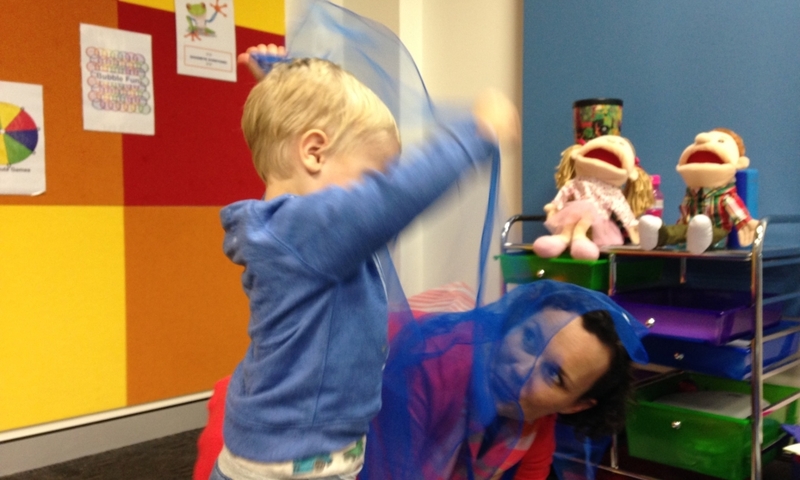 The room was lit up with his massive grins as he helped to billow the parachute up and down. So much fun! Boogying with bubbles and a goodbye song ended the class and the kids reluctantly got ready to leave. 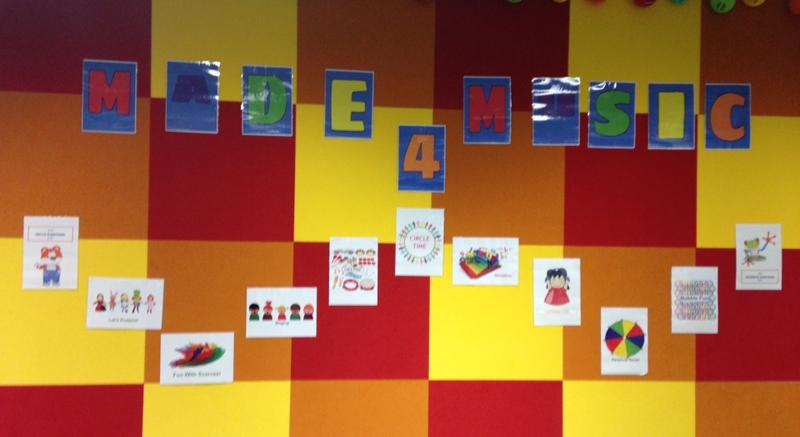 I loved the variety of the Made4Music session – the activities followed swiftly from one to the next ensuring that the little ones were engaged throughout the 30 minutes. It was obvious that Anne-Maree is a talented music teacher and knows how to relate to the kids in a friendly, warm way. I loved that all the accessories and instruments were clean and top quality so you didn’t have to cringe when your child had a quick chew. I really liked the format of the class and that the theme changes every fortnight to keep things interesting. I was very impressed to receive an email after the class with a quick overview of what the kids learnt as well as links to the songs, music and stories that were covered in the session. What a great way to encourage re-inforcement of a love of music back in the home. Price: Made 4 Music! Membership is $180 per term (based on a 10 week term). Casual drop in sessions are charged at a rate of $25 per session. Please call prior to ensure there is adequate space in your preferred class. Visit Directions In Music online or on Facebook any time.